Sir Richard Doolee may be one of the most hated men in the SOM today, but there is no denying that he is also one of the most decorated competitors in the SOM. Today, in the first ever edition of SOM Spotlight, we're going to take a look at the SOM career of this "extraordinary gentleman". When the School of Morton opened in 2014, the man who would come to be known as Sir Richard Doolee was the first student to walk through the door. He would begin his career as Rick Razor. While known as Rick Razor, he would have moderate success, most notable winning the first Paul Morton Cup in 2015. Soon after winning the Paul Morton Cup, Razor would begin wrestling under his real name, Rickey Dooley. He was joined by his brother, Buster, and their cousin, Brian, who he would team with from time to time. They were later joined by the youngest Dooley brother, Danny. 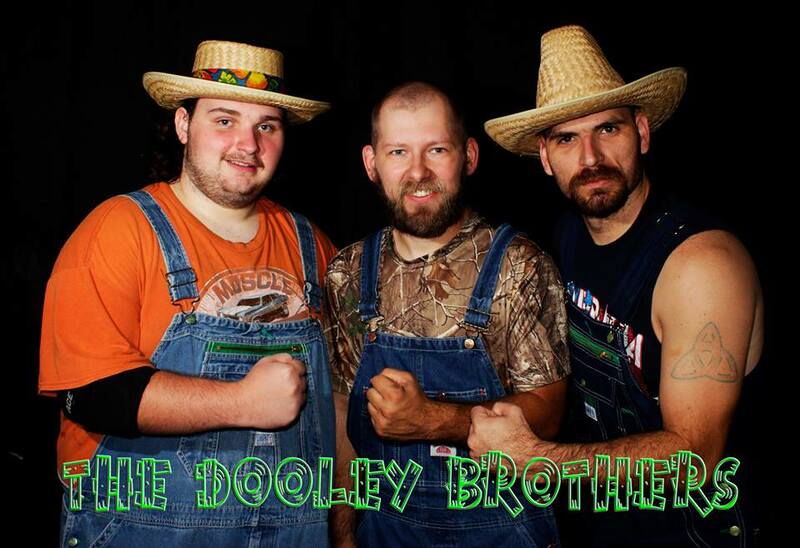 Several different combinations of Dooley family members would go on to win the East Tennessee Tag Team Championship. After teaming with his family members for quite some time, he would begin his solo career. He would defeat one of his greatest rivals, Draco, to become the X Division Champion. After losing the X Division Championship, he would move into the East Tennessee Championship picture. In one of the most heated rivalries in SOM history, he would defeat The Sultan to win the East Tennessee Champion. 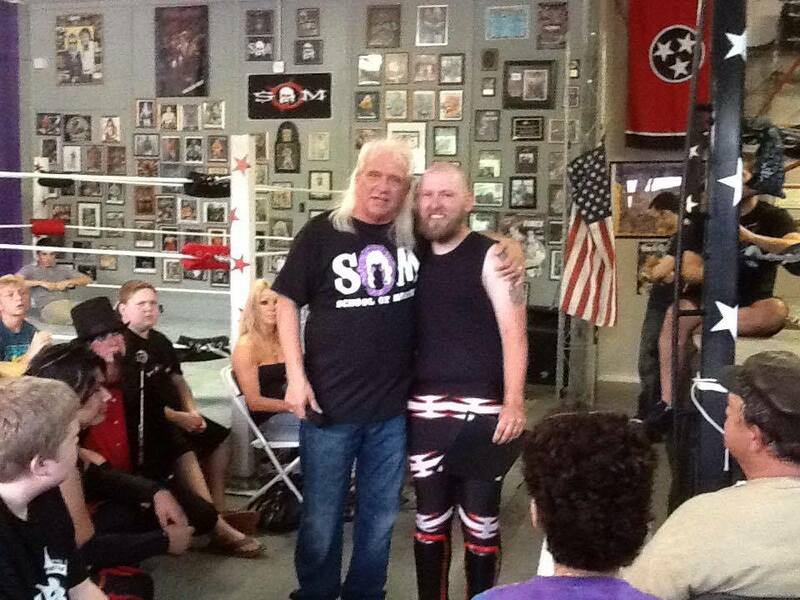 This made him the first person to ever win the East Tennessee Tag Team Championship, the X Division Championship, and the East Tennessee Championship. Dooley was one of the most beloved wrestlers in the SOM at the time. However, he soon decided to turn his back on the SOM fans by aligning himself with the EGC 2.0, disowning the Dooley name and choosing to call himself Sir Richard Doolee. Since joining the EGC 2.0, he has began teaming with Sir Brian Jeffries, most notably defeating JC Addams and RT3 for the East Tennessee Tag Team Championship. If there is an example of evolution in the SOM, it would have to be Sir Richard Doolee. He has accomplished everything there is to accomplish in the SOM. He was the first ever Paul Morton Cup winner and the first ever SOM Triple Crown Champion. Whether you like him or not, Sir Richard Doolee has been an integral part of the SOM for quite some time, and it appears that he will continue to do so. Jungle Boy defeated Jake "Hound Dog" Allen to become the new SOM Youth Champion. Showing more viciousness than ever before, Jungle Boy defeated Jake Allen to once again capture the SOM Youth Championship. Both of these young competitors have held the SOM Youth Championship multiple times, and their intense rivalry continues. It doesn't look as if the feud between Jungle Boy and the "Hound Dog" will be over anytime soon. Onslaught and Barrett Stout w/The Coven defeated The Medics. Ever since showing up in the SOM, Onslaught, The Coven's newest monster, has caused nothing but pain and destruction. Since the addition of Onslaught, The Coven has grown even stronger. After facing off with The Coven two times in the past week, it's safe to say that The Medics probably won't be seeking a third encounter. "Dangerous" Dan Matthews defeated Kaldr w/The Coven. Even with the entire Coven at ringside, Dan Matthews was still able to defeat Kaldr. We have spoken with Matthews, who is demanding a shot at the SOM Heavyweight Championship. If his path of destruction continues, there is a very good chance that Matthews could be the next SOM Heavyweight Champion. BTSG defeated X Division Champion, The Ryan Price, in a non-title match. No matter what The Ryan Price did, he was unable to keep BTSG down for a three count. Finally, after becoming immensely frustrated, Price called for help from The EGC 2.0. The "Manager of Champions", Judas the Mad Hatter, distracted the referee while Sir Richard Doolee entered the ring. Doolee attempted to hit BTSG with a foreign object, but BTSG was able to duck, causing Doolee to unintentionally strike Price. BTSG capitalized on The EGC 2.0's mistake by covering Price and defeating the current X Division Champion. The X Division Championship was not on the line, but since BTSG was able to defeat the current champion, General Manager Branham has granted him a shot at Price's title at Civil War on July 8th. East Tennessee Tag Team Champions, JC Addams and RT3, defeated The EGC 2.0 (Sir Richard Doolee and Sir Brian Jeffries) w/Sir Derrick Williams by disqualification. When it appeared as if the current East Tennessee Tag Team Champions were about to defeat their challengers, Sir Derrick Williams attacked JC Addams, in order to intentionally disqualify his team. After the match, The EGC 2.0 attacked Addams and RT3. This is the second time in the past week The EGC 2.0 have intentionally took a disqualification loss in order to avoid being pinned. Once again, they have demanded a rematch since neither member of the team was pinned or submitted. We have not yet received word on General Manager Branham's decision. Hank "The Machine" Miller defeated East Tennessee Champion, Draco, w/The Coven in a non-title match. Last weekend in Bean Station, General Manager Branham sent both Celaeno the Dark and Barrett Stout away from ringside, but allowed Kaldr and Onslaught to stay. This turned out to be a mistake, as The Coven, even with reduced numbers, helped Draco walk away with the East Tennessee Championship. In this match, the entire Coven was banned from ringside due to repeated interference. Without their help, Draco was unable to defeat "The Machine". We have been informed that since Miller defeated Draco in a non-title match, he will receive a shot at the East Tennessee Championship at Civil War on July 8th. SOM Heavyweight Champion Maverick and Luscious Lawrence fought to a double count-out. It is clear that there is nothing but absolute hatred between Maverick and Luscious Lawrence. Like their last encounter, this match ended in an intense ringside brawl, with neither man re-entering the ring before the referee's count of ten. Once again, the fight spilled into the parking lot and continued until the entire locker room emptied to pry Maverick and Lawrence apart from each other. It doesn't appear that a wrestling ring can contain the current SOM Heavyweight Champion and "Mr. Juicy". Perhaps, due to this fact, we could see a no count-out, no disqualification match between the two so that a clear winner can be named. We've had some great shows lately, and this was no different. For news on upcoming live events, check our Facebook page. For more article and exclusive details, continue checking this website. Our next live event will take place at the School of Morton in Chuckey, TN on July 8th. We'll see you there! SOM Youth Championship Match: Jake "Hound Dog" Allen (c) vs. Jungle Boy-Last Saturday in Bean Station, Jungle Boy defeated the current SOM Youth Champion, Jake "Hound Dog" Allen to earn a shot at the SOM Youth Championship. Jungle Boy, who is a multiple time SOM Youth Champion himself, will get his shot at Allen's title Friday night in Erwin. The "Hound Dog" and Jungle Boy have been fierce rivals for quite some time, and the intensity in their matches continues to grow. This will not be a match you want to miss! SOM Heavyweight Championship Match: Maverick (c) vs. Luscious Lawrence: If the last encounter between these two men is any indication, this will be more of a fight than a wrestling match. Last weekend in Bean Station, Maverick and "The Luscious One" fought to a double count-out when their wild brawl spilled into the parking lot. Destroying everything in their path, the two rivals continued to fight until the entire locker room spilled out to tear them apart. After nearly throwing Maverick through a will, Lawrence limped back into the ring to challenge him to a rematch. General Manager Branham has informed us that this rematch will take place this Friday night in Erwin. With their immense hatred for each other growing, who knows what kind of pain these men will put each other through on Friday? If you want to see a fight, this match is for you. East Tennessee Tag Team Championship Match: JC Addams and RT3 (c) vs. The EGC 2.0 (Sir Brian Jeffries and Sir Richard Doolee): At the SOM's last live event in Bean Station, a match between the current East Tennessee Tag Team Champions and The EGC 2.0 ended in a rather controversial fashion. After hitting a huge spear, RT3 went for the pin. However, before the referee counted to three, The Ryan Price, who had accompanied his fellow EGC 2.0 members to ringside, pulled the referee out of the ring in an attempt to save his team from losing the match. However, his interference backfired, as the referee decided to disqualify The EGC 2.0. Apparently, a group of people claiming to be the legal representation of The Ryan Price have contacted General Manager Branham, demanding that The EGC 2.0 be given another shot at the East Tennessee Tag Team Championship since neither Jeffries or Doolee were pinned or submitted. To save himself the trouble of dealing with The Ryan Price's legal team, General Manager Branham has agreed to give the The EGC 2.0 another shot at the East Tennessee Tag Team Titles at SOM Live in Erwin. With The Ryan Price and The EGC 2.0, it is almost a guarantee that there will be some form of cheating in every one of their matches. In Bean Station, the referee was able to stop this cheating, but it will be interesting to see if the same happens in Erwin. BTSG: Last Saturday, BTSG was once again cheated out of the X Division Championship by The Ryan Price, who pinned BTSG with his feet on the ropes to gain extra leverage. BTSG, who is now becoming increasingly frustrated with The Ryan Price and the EGC 2.0, seems to continually come closer and closer to victory, only to have the EGC 2.0 cheat him out of reclaiming the title time after time. 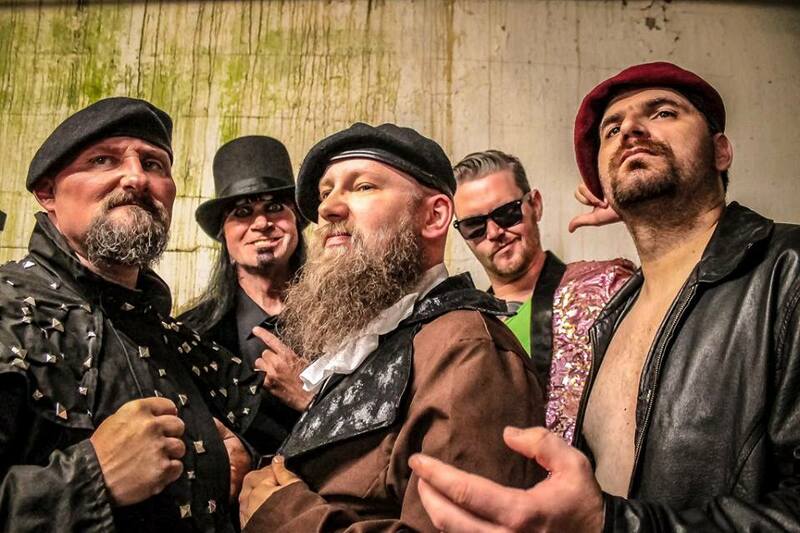 BTSG seems to be forming some sort of alliance with the current East Tennessee Tag Team Champions, JC Addams and RT3, in order to take on the EGC 2.0. Perhaps BTSG, RT3, and Addams will be able to overcome the EGC 2.0 in Erwin. The Ryan Price: It's no secret that The Ryan Price will do whatever it takes to hold onto his X Division Title, whether it's using an illegal object, pinning someone with his feet on the ropes, or utilizing his fellow EGC 2.0 members, Jeffries and Doolee. Price always has some sort of plan to cheat his way into a victory, and at SOM Live in Erwin, things probably won't be very different. There's no question that Price will not be playing by the rules. The only question we can ask ourselves is the question of whether or not BTSG will be able to combat Price's cheating ways. The Coven: ​Although Draco successfully defended his East Tennessee Championship (with help from fellow Coven members, Kaldr and Onslaught) against Hank "The Machine" Miller, it doesn't look like their rivalry is over yet. We have received word that Miller has asked General Manager Branham for a match against Draco where no members of The Coven will be allowed at ringside, but Branham is yet to confirm whether this match will happen or not. We saw The Coven's new monster, Onslaught, make his SOM debut in Bean Station, teaming with Kaldr. Proving to be a dominant team, the newly formed duo defeated The Medics. Perhaps we will see Kaldr and Onslaught team together once again. After suffering a defeat at the hands of "Dangerous" Dan Matthews in Bean Station, Barrett Stout will be looking to show his hometown of Erwin (which he recently disowned in an interview) why he is "simply amazing". Plus, Celaeno the Dark, who appears to be controlling The Coven, will be at ringside, looking as frightening as ever. Hank "The Machine" Miller: Two weeks ago at Meltdown, Hank Miller lost the East Tennessee Championship to Draco due to the interference of The Coven. Last Saturday in Bean Station, Hank Miller was unable to recapture the East Tennessee Championship, once again due to the interference of The Coven. Much like BTSG's situation with The Ryan Price and The EGC 2.0, "The Machine" must find a way to fight off The Coven and get a fair, one-on-one match with Draco in order to win the East Tennessee Championship once again. "Dangerous" Dan Matthews: After defeating Barrett Stout, his most noteworthy opponent yet, "Dangerous" Dan Matthews will be looking to continue his streak of dominance. Who will be standing in his path to the SOM Heavyweight Championship next? The Medics: After being crushed by Onslaught and Kaldr in Bean Station, The Medics will want to pick up a win, but that may be quite the task. With The Coven's team of Kaldr and Onslaught being the only other tag team without opponents at SOM Live in Erwin, we could see a rematch of their tag team match that took place in Bean Station. If this happens, the Medics will certainly need a new strategy. The card for SOM Live in Erwin is already stacked, and only three matches have been revealed! If you want to see some great wrestling action, make sure to come to the national guard armory in Erwin, TN this Friday night at 7:30 P.M. Jungle Boy defeated SOM Youth Champion, Jake "Hound Dog" Allen. SOM Live in Bean Station, TN began with a continuation of what has to be the longest ongoing rivalry in the SOM, which ended when Jungle Boy hit a superkick that looked as if it could have broken the jaw of the current SOM Youth Champion. Since this was a non-title match, Jungle Boy did not walk away with the SOM Youth Championship around his waist, but he was granted a shot at Allen's title this Friday (July 15th) in Erwin, TN. This rivalry between Jungle Boy and the "Hound Dog" has been going on for quite a while, but the intensity shown in this match by both competitors indicates that their hatred of each other is not even close to it's culmination. "Dangerous" Dan Matthews defeated Barrett Stout w/The Coven. Proving that he is truly "Dangerous", Dan Matthews continued to show dominance by defeating Barrett Stout. It is very likely that General Manager Branham will move Matthews into the title picture very soon. The Coven (Kaldr and Onslaught) w/Celaeno the Dark defeated The Medics. In his first official SOM match, the Coven's newest member, Onslaught, showed that he is truly as much of a monster as he looks to be. As soon as the bell rang, the Coven viciously attacked the Medics, and kept control for the rest of the match. Onslaught picked up the win for his team with a devastating gutwrench powerbomb. East Tennessee Champion, Draco w/The Coven defeated Hank "The Machine" Miller. Even though both Celaeno the Dark and Barrett Stout were sent away from ringside by General Manager Branham, the odds were still not in the favor of "The Machine". Not only did he have to face Draco inside the ring, but he also had to watch his back, with the remaining members of the Coven, Onslaught and Kaldr, stationed at ringside. Unable to win a three-on-one fight, Miller was pinned after a cutter from Draco. The ever-growing Coven, now consisting of five members, has managed to use their numbers advantage to help Draco defeat "The Machine" multiple times. If their interference continues, Miller's chances of regaining the East Tennessee Championship are practically nonexistent. SOM Heavyweight Champion, Maverick and Luscious Lawrence fought to a double count-out. This hard-hitting match ended when an even harder-hitting brawl brawl began at ringside. Soon, the fight between Maverick and "Mr. Juicy" spilled into the parking lot. Destroying everything in their path, neither man cared about the result of the match any longer. At this point, intentions were only about causing as much pain as possible. It appeared that "The Luscious One" got the best of the brawl, since after nearly throwing Maverick through a wall, he climbed back into the ring to challenge Maverick to a rematch at an upcoming show. We have been informed by General Manager Branham that the rematch will occur this Friday (June 15th) in Erwin, TN. East Tennessee Tag Team Champions, JC Addams and RT3 defeated The EGC 2.0 (Sir Brian Jeffries and Sir Richard Doolee) w/The Ryan Price by disqualification. In their first defense of the East Tennessee Tag Team Championship since winning the titles in Wise, VA, JC Addams and RT3 were able to defeat the EGC 2.0 once again. However, this time, the circumstances were a bit less decisive. RT3 hit an incredible spear and then went for the pin. The referee started to make the count, but before his hand hit the mat for the count of three, he was pulled out of the ring by The Ryan Price. Price's attempt to save his team from losing the match resulted in the EGC 2.0 being disqualified. We have received word that General Manager Branham has been contacted by a group of people claiming to be The Ryan Price's lawyers, who say that Price demands that the EGC 2.0 be granted a rematch this Friday in Erwin, TN, since neither Doolee or Jeffries were pinned or submitted. After the match, the EGC 2.0 attacked Addams and RT3. BTSG ran out to save them from the EGC 2.0, and his match with The Ryan Price began immediately. X Division Champion, The Ryan Price w/The EGC 2.0 defeated BTSG. The Ryan Price has once again weaseled his way into a successful X Division Championship defense. JC Addams and RT3 returned to ringside mid-match to stop interference from Doolee and Jeffries. This resulted in a brawl just as intense as the one between Maverick and Luscious Lawrence earlier in the night. The referee, preoccupied by the chaos going on at ringside, did not realize that while he was pinning BTSG, Price had his feet on the ropes in order to gain more leverage. At SOM Live in Bean Station, TN, the building was absolutely packed, and it is safe to say that one more person could not have fit. We're expecting an even bigger crowd on Friday, July 15th, in Erwin, TN, and it's not a show you'll want to miss! Until then, continue to check this website and our Facebook page for updates. The Price Is Always Right: Meltdown 2018 kicked off with a very shocking edition of The Price is Always Right. The Ryan Price and the EGC 2.0 were once again joined by Bronson Garrett, who has been absent from the SOM for several months. To say that this didn't go as The Ryan Price planned would be an understatement. Price began to say that during Garrett's time away from the SOM, he had been vacationing in California. Garrett proceeded to cut Price off, saying that he had never even been to California. He revealed that he had been injured, and questioned the EGC 2.0 about why he'd never even received a phone call or a text while he was injured. He told the EGC 2.0 that he was tired of trying to be one of them. He said that he doesn't come from a rich family in San Antonio as the EGC 2.0 has claimed. He was actually born in Saltville, Virginia, with a father who worked in a factory for 28 years. After telling each member of the EGC 2.0 exactly what he thought of them, Garrett hit Price with a shot below the belt. This turned out to be an unwise move, as it resulted in the rest of the EGC 2.0 jumping him. Luckily for Garrett, his longtime rival BTSG saved him from the vicious assault by his former friends. General Manager Branham then made a tag team match for later in the night, with former enemies BTSG and Bronson Garrett teaming up to take on The Ryan Price and Brian Jeffries. SOM Youth Champion Jake "Hound Dog" Allen defeated Charlie Brown w/Jungle Boy. While the "Hound Dog" was suspended from the SOM, a masked man named Charlie Brown showed up to take his place in SOM Youth Championship matches with Jungle Boy. Charlie Brown closely resembled Allen, leading many to believe that he was Charlie Brown. Jungle Boy was especially convinced of this. No matter how many times he tried to prove that Allen was under the mask, Jungle Boy always failed. Since Allen has returned to action at the SOM, a new version of Charlie Brown, who is clearly not the person originally under the mask, has debuted and aligned himself with Jungle Boy. Unfortunately for the new Charlie Brown, he came up short in this match with the current SOM Youth Champion. Jungle Boy defeated The Scorpion. After his accomplice failed to defeat Jake "Hound Dog" Allen, an irate Jungle Boy declared that he wanted a match. His challenge was accepted by the Scorpion, who was as flamboyant as ever. General Manager Branham has notified us that Jungle Boy's impressive win has once again earned him the number one contendership to the SOM Youth Championship. "Dangerous" Dan Matthews defeated Alex Monroe. Once again proving his dominance, Dan Matthews defeated Alex Monroe in a very one-sided match. If Matthews continues to compete like he has since showing up at the SOM several months ago, it is almost a guarantee that he will be granted a shot at either Draco's East Tennessee Title or Maverick's SOM Heavyweight Title. Chris Jackson and Dylan Bruce defeated The Coven (Barrett Stout and Kaldr) w/Celaeno the Dark. The SOM fans (along with Jackson and Bruce themselves) were definitely shocked at the result of this match. After being beaten up for most of the match, Jackson was able to surprise Stout with a schoolboy roll-up to get the win. However, the celebration was short lived. On their way to the backstage area, Jackson and Bruce were clobbered by a gigantic masked man introduced as the Coven's newest member, the Onslaught. Celaeno the Dark then demanded a match for the Onslaught. The Onslaught defeated Corky McCorkle. When no one answered the Onslaught's challenge, the Coven grabbed the SOM's favorite commentator, Corky McCorkle, from ringside and threw him into the ring. The Onslaught brutally attacked Corky with a gutwrench powerbomb and forced a referee to count the pin. The Medics defeated JC Addams and RT3. ​Although it appears that the Medics have put their cheating ways behind them, they did not win this match cleanly. When RT3 hit one Medic with a spear and went for the pin, the EGC 2.0, who were watching at ringside, decided to interfere. Brian Jeffries distracted the referee while Richard Doolee entered the ring to hit RT3 with Judas the Mad Hatter's cane, which lead to the Medics picking up the victory. After the match, General Manager Branham declared that the EGC 2.0 would face JC Addams and RT3 this Tuesday (June 5th) at the Virginia-Kentucky Fair in Wise, Virginia for the vacant East Tennessee Tag Team Championship. Draco w/Celaeno the Dark defeated Hank "The Machine" Miller to become the new East Tennessee Champion. Hank "The Machine" Miller has fought Draco and the Coven for several months now, and they've finally gotten the best of him. Miller lost the match due to a distraction by Celaeno, who actually resorted to giving him what appeared to be a kiss of death. With the addition of the monster known as Onslaught and the East Tennessee Championship to their faction, the Coven appears to be growing even stronger, and that can not be good for the chances of "The Machine" regaining the East Tennessee Championship. BTSG and Bronson Garrett defeated X Division Champion The Ryan Price and Brian Jeffries. Two men involved in one of the most brutal rivalries in the history of the SOM formed an alliance to successfully defeat two mutual enemies. The match ended with BTSG pinning Price, which resulted in General Manager Branham giving BTSG a rematch against the X Division Champion this Saturday (June 9th)in Bean Station, Tennessee. Luscious Lawrence defeated Richard Doolee. Although the EGC 2.0 attempted to interfere, Luscious Lawrence was able to defeat Richard Doolee. After the match was over, our equipment manager accidentally played the song that Richard Doolee and Brian Jeffries used to walk to the ring to when they were part of the Dooley family. Doolee and Jeffries began to dance to the music, which made their manager Judas the Mad Hatter even angrier than he already was. It appears that there could be some sort of problems between Judas and the tag team who were once known as the Dooley family. It will be interesting to see where this leads. If you were able to make it to Meltdown 2018, there's no doubt that you want to see more of the SOM, and if you weren't you need to come see what the SOM's live events are all about! Make sure to check our Facebook page (School of Morton) for updates on these shows as well as more upcoming shows. After each show, check back here at somnewsblog.weebly.com for the results and analysis of the show.